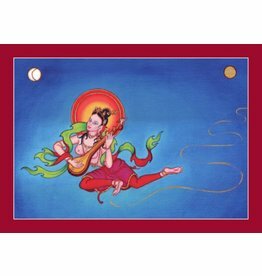 Vajrayogini is the female tantric diking that symbolises the union of method and wisdom (bliss and emptiness). She's got a brilliant-red naked body that represents the transformation of passion and sexual energy into compassion. Vajrayogini is adorned with various bone ornaments and around her neck she wears a garland of fifty human skulls. 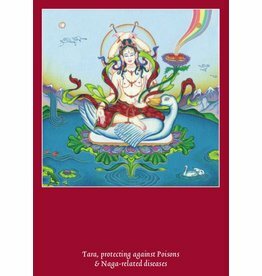 The khatvanga balancing on her left shoulder represents her consort Heruka Chakrasamvara, showing that they're never separated from each other. 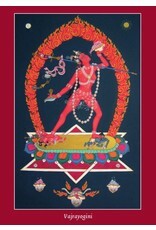 The fire surrounding Vajrayogini symbolises bodhichitta. 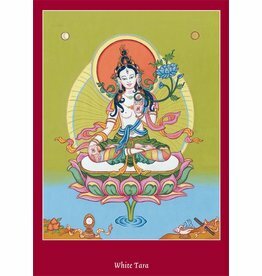 She's looking upwards to the Pure Dakini Land (a world that is free from suffering). Her right leg treads on the breast of Kalarati and her left leg treads on the forehead of Bhairava. They represent the delusions of attachment, hatred and ignorance. 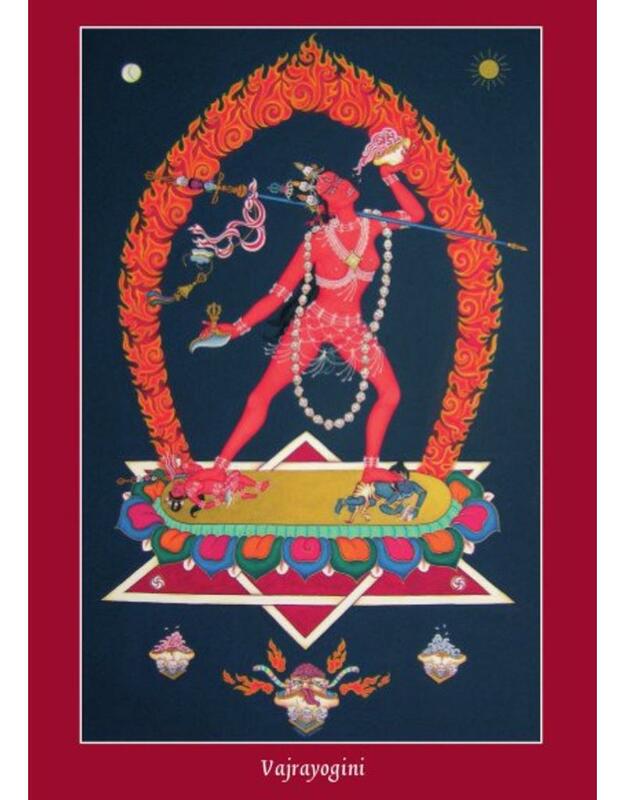 The Highest Yoga Tantra practice of Vajrayogini seems to be one of the most popular in Tibetan Buddhism. 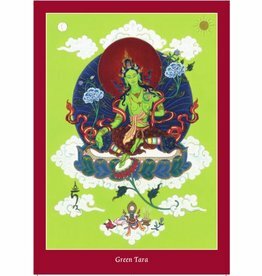 This card is a design of Tibetan Buddhist Art - Copyright: © Carmen Mensink.